The car parks for Palermo Port offers undercover parking spaces and possibility to park vehicles of varying sizes: motorbikes, camper vans and vans. Our website gives you the option of booking Palermo Port parking in advance, saving you time and money. All parking spaces are under cover, are extremely secure and under 24/7 surveillance. Palermo Port parking made easy with ParkVia! 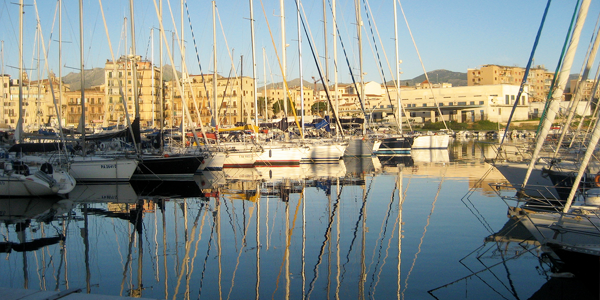 Palermo Port was built in the 8th century B.C. and was subject to many changes throughout the centuries, under the influence of many different foreign dominations. The current structure dates back to the 16th century. The Port of Palermo is a busy port of call in the Mediterranean Sea. It is connected daily to Naples, Genoa, Livorno, Civitavecchia (Rome), Cagliari and Tunisia. In addition, it offers less frequent trips to other Mediterranean ports.